Dr. Danqing Young is a Professor at School of Accountancy, The Chinese University of Hong Kong (CUHK). She has published her research in top journals in the field including Journal of Accounting Research, Journal of Accounting and Economics, The Accounting Review, and Contemporary Accounting Research. Dr. Young has taught courses in financial accounting, managerial accounting, and international accounting at the graduate and undergraduate levels. 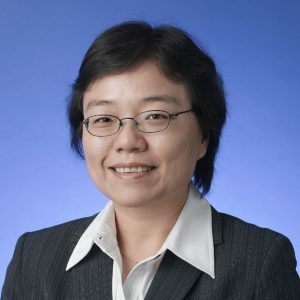 In the past, she has served as the President of Hong Kong Academic Accounting Association and the Vice President of International Association for Accounting Education & Research. She has also served as the Director of School of Accountancy, CUHK. Currently, she is serving as the Director of Executive Master of Professional Accountancy Programme. Dr. Young received her PhD in Accounting and Master’s of Social Science in Economics from University of Connecticut, and Master of Social Science in Organizational Behavior and Bachelor of Science in Management Science from Fudan University in China. Chen Chen, Danqing Young, and Zili Zhuang (2013), “Externalities of Mandatory IFRS Adoption: Evidence from Cross-Border Spillover Effects of Financial Information on Investment Efficiency,” The Accounting Review, 88(3), 881-914. Xianjie He, T. J. Wong, and Danqing Young (2012), “Challenges for implementation of fair value accounting in emerging markets: evidence from China,” Contemporary Accounting Research, 29(2), 538-562. Rita Yip and Danqing Young (2012), “Does Mandatory IFRS Adoption Improve Information Comparability?” The Accounting Review, 87(5), 1767-1789. Michael J. Ferguson, Gim-seong Seow, and Danqing Young (2004), “Non-Audit Services and Earnings Management: U.K. Evidence,” Contemporary Accounting Research, 21(4). Danqing Young and David A. Guenther (2003), “Financial Reporting Environments and International Capital Mobility,” Journal of Accounting Research, 41(3), 553-579. Danqing Young and David A. Guenther (2000), “The association between financial accounting measures and real economic activity: a multinational study,” Journal of Accounting and Economics. D. Dhaliwal, S. Radhakrishnan, Albert Tsang, and George Y. Yang (2012), “Nonfinancial Disclosure and Analyst Forecast Accuracy: International Evidence on Corporate Social Responsibility Disclosure,” The Accounting Review, 87(3), 723-759.